Looking for beauty products that are raw, organic, wild crafted and vegan to use on your pure, perfect baby? We have just discovered Morrocco Method Int’l. We were sent the following products to try, and they aren’t just for baby! 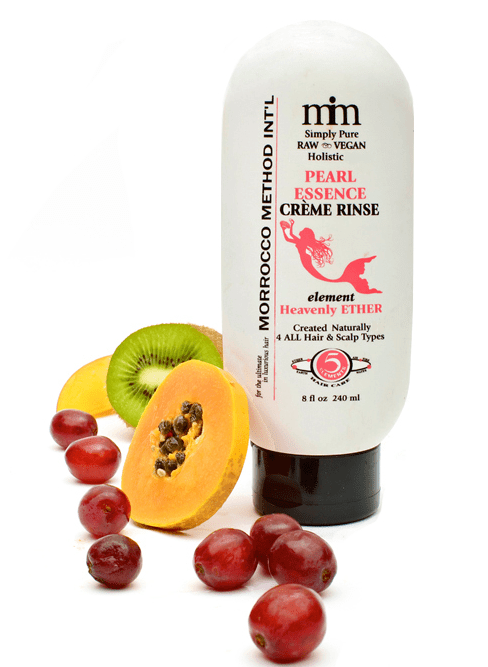 Experience the soft, moisturizing, and silky smooth effect of Morrocco Method’s Pearl Essence Crème Rinse. This instant conditioner works to eliminate excessive oiliness or extremely dry hair by balancing your scalp and hair chemistry. Made from the most pure ingredients nature has to offer, this crème rinse is beneficial for all hair types and great for those with chemical sensitivities. It is made from a unique blend of herbs, oils, and minerals that are combined and bottled according to the 13 Moon Lunar Astrology Cycle to maximize vitality. Morrocco Method’s Baby Friendly Washcloth is hand-made with 100% natural, non dyed or chemically treated cotton to provide a gentle exfoliating cleanse for your baby! Softly massaging your baby with this all natural wash cloth during bath time can also be very soothing and calming for babies. Natural oil treatments have been practiced throughout the world for thousands of years as a proven holistic regimen for optimal care and maintenance of your hair. Morrocco Method Euro Oil is a unique treatment that works to stimulate the sebaceous glands and restore the natural pH balance of the scalp. The pure oils enhancing this treatment are blended and bottled holistically to maximize its energy and natural vitality. It works to provide excellent protection and nourishment to stimulate, strengthen, and rejuvenate your hair and scalp!!! The Euro Oil is a great natural treatment for cradle cap and other skin issues your baby may experience. Heavenly Chi Shampoo is made from a synergistic blend of natural botanicals, herbs, and marine proteins that dynamically energize and condition the hair and scalp. It is non-toxic and non-allergenic, making it great for all hair types. This rich conditioning shampoo work to stimulate, rejuvenate, and revitalize the hair and scalp!! All of our shampoos are extremely low sudsing and non foaming. Foaming and sudsing are usually a result of chemical additives that are potential irritants, like sodium lauryl sulfate, even in products that claim to be “natural”.